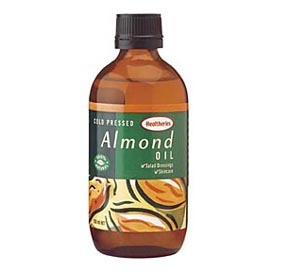 I couldn't find any almond oil in Boots, despite going to the 'big Boots'. This could have been the problem however, as there is so much stuff in there I never seem to be able to find what I'm looking for! Oil obviously traps moisture in, so I thought I'd try it in the shower. As soon as my skin was just a little wet I coated myself in the almond oil all over. It felt very nice! I then shaved my legs, just using the almond oil as a protective layer between my legs and the shaver. It worked really well! I put a bit more on my legs after shaving and they felt uber smooth. It was even more effective than the aqueous cream and made less mess in the shower. How was it as a moisturiser? Although it was effective as a shaving gel alternative, the rest of my skin however, didn't seem too happy - itchy and irritated again. I wasn't sure at first whether this was just from the effects of the shower (which always makes the eczema patches flare really red - even when I have a cool shower), or whether my skin really didn't like the almond oil. Afterwards I realised that the bottle said that it wasn’t for use on broken skin. I suppose my very rough patches of eczema count as broken skin. Curses! Why didn't I read the bottle first? I used to use sweet almond oil as a moisturiser a few years back, when I still had sensitive skin but my eczema had not flared up so badly. It worked really well. Oil is much quicker and easier to apply than cream or lotion - you just need to take care not to apply too much or you'll end up super shiny! Apply sparingly - you can always add a touch more if you want. Although it's a great moisturiser for dry skin, I would not use if you have actual patches of eczema as you'll find it will only irritate. It is great for shaving your legs with in the shower though! You're welcome Ed! Thanks for your comment. Sadly there seems to be no miracle cure - but I'll keep searching! Have u tried use extra virgin olive oil on face and body ? heard that its good !